- Over 50 Years In The Making- "Tampa Stadium to The Big Sombrero"
- "The Big Sombrero & Raymond James"
- Hear The Canon Roar On Gameday "Ray Jay"
So you're a Fanatical Tampa Bay Buccaneers fan, a true win or lose die-hard! You network, socialize and hangout with some of the coolest people in town! Each GAMEDAY your phone message is changed to "TAILGATING"! The camaraderie, music, food & drink are only a few elements that bring together the greatest fans in Tampa "BAY"
We look forward to BuccaneersFan.com becoming another Fanatical Fan experience that is perfect for you. The official 2019 NFL schedule was released this week with all the usual fan fustration and gasps of scheduling disbelief. We are headed across the pond this season for the Carolina Panthers game playing in London at Tottenham Hotspur's a new stadium that opened in March 2019. The Buccaneers previous UK experience were both played at Wembley Stadium and the community was well received. The Buccaneers have five (5) weeks without a HOME GAME. GASP! The majority of games are aired on Fox Sports this season, the Colts game will air on CBS and the Thursday night game against the Carolina Panthers airs on the NFL Network. The Houston game is planned for CBS, however subject to change. KACEY REYNOLDS - Buccaneers SUPER FAN! BANKS COUNTY, Ga. More than a year ago, volunteers with Make-A-Wish Georgia contacted Kacey about an activity or wish to offer him some joy during his cancer battle. He indicated his love for the NFL and especially the Tampa Bay Buccaneers. Kacey is headed to Nashville for the NFL Draft and will be making the official Tampa Bay Buccaneers #1 Pick announcement. BuccaneersFan.com congratulates Kacey Reynolds Georgia's #1 Buccaneers FAN.. GO BUCS! And GO KACEY! Bucs' next Ring of Honor inductee? So far, they've introduced Lee Roy Selmon, John McKay, Jimmie Giles, Paul Gruber, Warren Sapp, Derrick Brooks, Mike Alstott and Doug Williams. That's a hefty list, but there are plenty of players who have yet to enter the Ring. Given by the Tampa Bay Buccaneers in conjunction with the Central Florida USO, the General H Norman Schwarzkopf Military Family of the Year award is named after the late General Schwarzkopf and his family. It is something the General was famous for saying as a way of reiterating that the strength, commitment and resiliency that members of the military display day in and day out comes from the support and encouragement of those around them a.k.a. their families. Each year, a family from each branch of the military: Army, Marines, Navy, Air Force, Coast Guard and National Guard/Reserves is chosen as a family who has best demonstrated the values of integrity, courage, commitment and service before self, while sharing in the sacrifices of service to our country..
PRE-SEASON: 8/9 Pittsburgh Steelers, 8/16 Miami Dolphins, 8/23 Cleveland Browns, 8/29 Dallas Cowboys. HOME GAMES: 9/8 San Francisco 49ers, 9/22 NY Giants, 11/10 Arizona Cardinals, 11/17 New Orleans Saiints, 12/8 Indianapolis Colts, 12/21or22 Houston Texans, 12/29 Atlanta Falcons. ON-THE-ROAD: 9/12 Carolina Panthers, 9/29 LA Rams, 10/6 New Orleans Saints, 10/27 Tennessee Titans, 11/3 Seattle Seahawks, 11/24 Atlanta Falcons, 12/1 Jacksonville Jaguars, 12/15 Detroit Lions. The Buccaneers named Arians their new coach on January 8, and by the time they formally introduced him at a press conference three days later his coaching staff was already rapidly coming together. Most of the 25 assistants who would join him over the next few weeks had some previous football connection to Arians and were eager to rekindle it. They knew that where Arians went, success usually followed.. 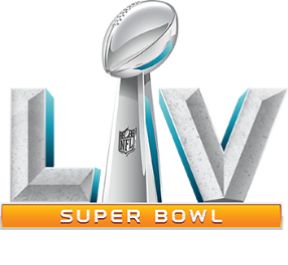 Projected site: Tampa... We were a finalist in the most recent Super Bowl bidding process. Consider it a strong signal that owners are interested in returning to the warm shores, and Bern's Steakhouse of Tampa. "There ARE two kinds of Football games the good and bad. I enjoy watching BOTH!" A Krewe is any group or organization of revelers to band together to host a Krewe Social, ride on a themed parade float and participate in social events throughout the year. Outfits are based on a combination of licensed NFL gear, Breeches, boots, skirts, head gear and game day face-paint, as you create your swashbuckler fanatical BucsFan ensemble. Ye Krewe of Pewter Pirates will feature both free BucsFan's and paid Krewe memberships. To learn more and sign up visit the Krewe Zone links at the top of each page. Ye Krewe of Pewter Pirates is about more than just dressing up in festive Bucs costumes and throwing beads… Many are deeply involved within the community, through charity and philanthropy. As fanatical fans we plan to construct a float similar to the concept float shown. Giving homage to our favorite ship in Raymond James. 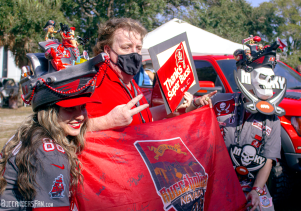 With parades being one large tailgate party, and you know how BucsFan's love tailgating, our Krewe plans to show our fan spirit at as many as we can. Keep connected and informed during our Krewe development here and on social media. Friend our Krewe Facebook our Krewe Twitter below. 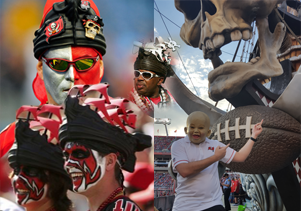 Fanatical Buccaneers Fans are encouraged to showcase their real deal passion for the Tampa Bay Buccaneers right here in our Global Invasion area. We hope to help generate monthly face-to-face fan tailgate/parties in hundreds of cities and small towns across the country. This Is A Global Invasion! The ultimate home for Buccaneers fan news, rumors, player & team updates, commentary, recruiting, analysis, and opinion. Share yours today. You'll find some of the greatest tailgating recipes ever invented. Many of the recipes are from inventive BucsFan's just like you. Send yours today. If you are interested in Ye Krewe Float Sponsorship, Contributing, Joining the Krewe Founder's Circle or Important Issues call... (404) 403-0491. BucsFan's will compete and earn a spot in the Fanatical Fan Corn-hole Finals – A bean bag tailgating game that teams BucsFan's in an elimination tournament to become the 2020 Corn-hole Champion! We will Spotlight the "Best Of Tailgating Awards" If you would like to be featured contact us. Some items were looking for are Best Theme, Best Spirited Vehicle, Best Tailgater Best Grill, Beverage & more. BuccaneersFan.com is looking for "Faces" Fanatical BucsFan's to spotlight in our 2020 Fan Awards. We're not talking about your average wear a jersey game-day support... You know who you are. ** IMPORTANT NOTICE: Game-day & Tailgating locations are announced via social media. Click links at top of page to keep informed. Individual talents get magnified many times over through the collective lens of an effective team. .... Perminate float riding access. .... Perminate recognigtion as a Founder's Circle Member. .... Voting prevligaes within the Krewe's Development board. .... VIP access to Ye Krewe of Pewter Pirates community events. .... Ability to particapate in key Krewe design decesions. .... 5,000 Fanatical BucsFan trader cards (limited edition series). .... Ye Krewe of Pewter Pirates Founders Circle certificate. .... Access to online Krewe blog and members only areas. .... First choice as corporate sponsor (business members only). Membership in the Founders Circle is a unique opportunity to get in at the beginning of the Ye Krewe of Pewter Pirates project. Space is limited however, due to the float development time schedule. We are seeking corporate naming or other sponsorships during the development. For more details of the program click link below. Fanatical Buccaneers Fan Quote of the Week! There ARE two kinds of Football games the good and bad. I enjoy watching BOTH! TAMPA-----BAY GO BUCS!